To explain exactly why Coco is so fitting a name for the film would be a little bit of a spoiler. But the larger reason speaks to why Unkrich wanted to make it in the first place. In 2010, Unkrich released Toy Story 3, which at the time was far and away Pixar’s biggest hit. He knew he wanted to follow it up with something original and became fascinated with the Mexican holiday Dia de los Muertos, otherwise known as the Day of the Dead. Based on that pitch alone—no story, no characters, nothing else—Disney Chief Creative Officer John Lasseter gave Unkrich the go-ahead to move forward with his untitled Dia de los Muertos movie. Additionally, the original idea also presented the Mexican holiday through an American perspective, so it was scrapped. “We all held hands and said, ‘You know, we’re making a mistake here, this isn’t quite right,’ and we started fresh again,” Unkrich said. After years of development, the movie evolved to focus on Miguel, a young Mexican boy who runs off to the Land of the Dead to solve the mystery of why his family hates music. And while the story was working and things were progressing, there were still challenges. 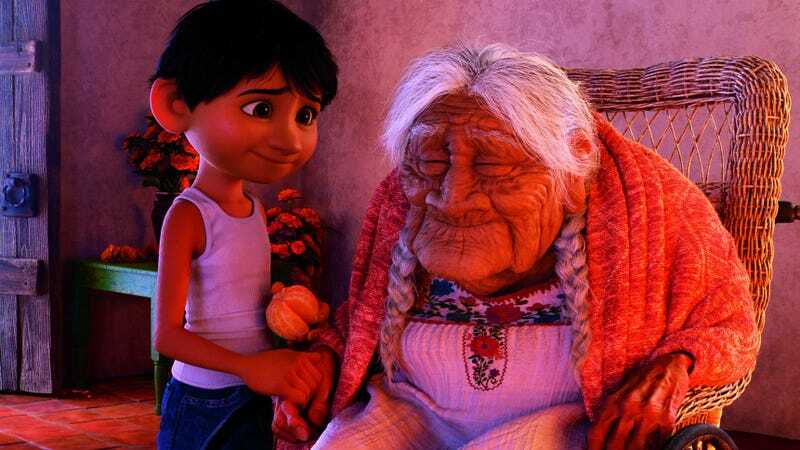 With its six-year development period, Coco ended up being the longest project that Unkrich—who’s been at Pixar since the very beginning—had ever worked on. But, with the film now heading to theaters, Unkrich feels all the hard work has made crossing the finish line even more satisfying. Thankfully, the same can be said for Coco (you can read our review here). Coco comes to US theaters on November 22.